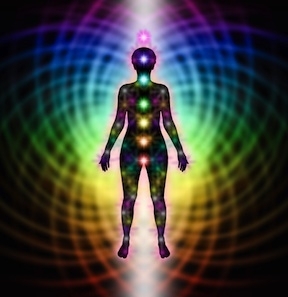 Energy Therapies utilize one or more of these systems through a variety of techniques and self help energy tools. This body of techniques employ elements of Biophysics, Quantum Mechanics, Psychology and Spirituality. Energy Therapy techniques have been clinically observed to consistently help with human distress. Our clients regularly report that they find the use of these techniques to be an amazing tool for creating calm, better emotional balance, and the release of sabotaging beliefs and self defeating behavior. They enjoy the fact that they are simple and easy to use at home, accelerating their trans-formative process. We have seen the results in their lives and we have experienced their positive effects in our own life. We have both trained in a variety of Energy Therapies such as Meridian Tapping (often referred to as The Emotional Freedom Techniques) and Matrix Energetics. We are both certified as practitioners in Guided Self Healing (a comprehensive framework which offers an expansive, integrative worldview with many easy to learn and highly effective tools to support healing and growth). Our approach is client centered and intuitive, allowing the highest good of the client to direct the flow of the session. Click here to contact us if you would like more information or would like to schedule a session. Disclaimer: We always work in conjunction with our clients and use a wide range of therapeutic processes and tools. The client is always at choice in what processes they wish to engage in. In any given session or retreat/workshop we may or may not utilize Energy Therapy techniques. Energy Therapy techniques are solely intended for educational and self-improvement purposes. Energy Therapy techniques are not intended to be a substitute for medical diagnosis or treatment of any particular condition. It is always advisable to seek professional/medical advice before making any health decisions. We do not make any guarantee or prediction regarding the outcome of any particular individual using these techniques. All information and testimonials are provided with integrity and in good faith.